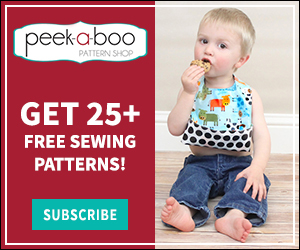 DIY Kids Dragon Costume - Peek-a-Boo Pages - Patterns, Fabric & More! 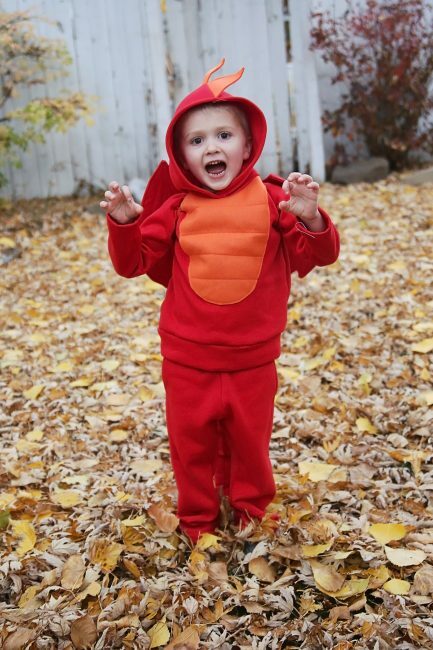 My son had his little heart absolutely set on being a red and orange dragon for Halloween. I did my best to make it happen! 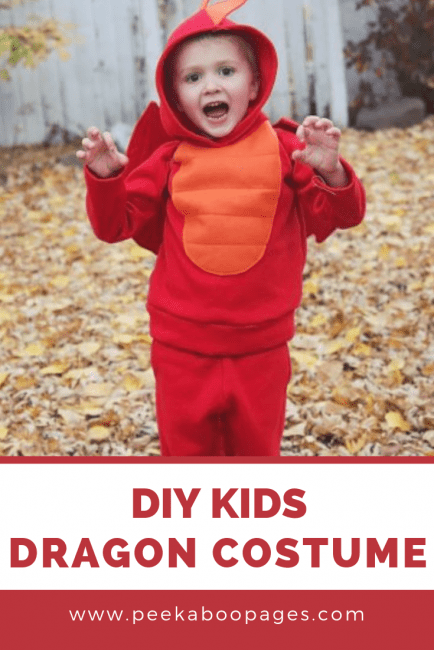 You can too with this DIY Kids Dragon Costume. I didn’t take any pictures along the way but it’s actually a pretty simple costume. The sweatshirt is the Classic Sweatshirt and before I sewed the 2 hood pieces together I added some orange felt triangles in-between the seams to make the spikes. I also added a patch of orange felt to the front sweatshirt piece for the dragon’s tummy. 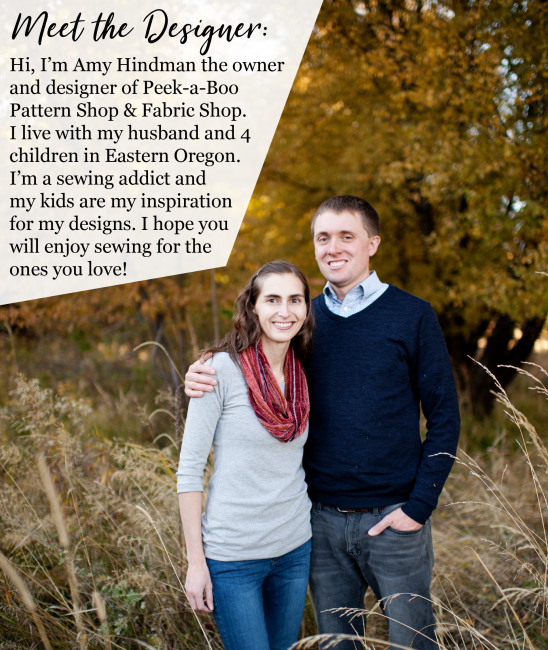 If you’d like you could purchase a plain sweatshirt, cut the hood seam open, add the spikes and then sew it shut again. His wings were made using the Wonderland Wings pattern. I used the same sweatshirt fleece as the rest of his outfit for the wings which was a bit bulky. 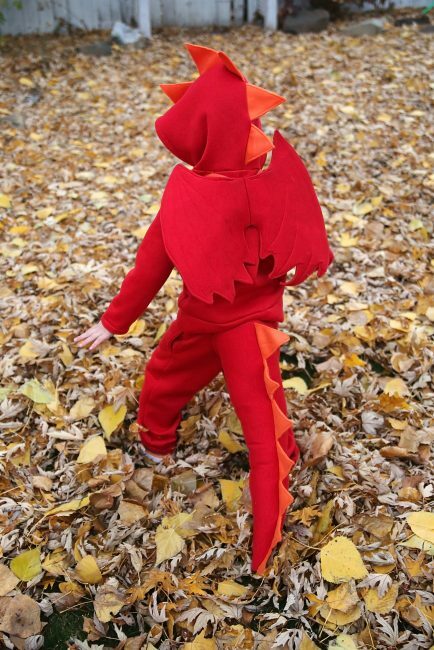 Next time I will definitely follow the pattern directions and use cotton for the wings 🙂 There’s your kids dragon costume!